What Happens to Your Mortgage After Bankruptcy? One of the prevailing concerns for individuals who file for bankruptcy is whether or not they lose their house in the process. Furthermore, homeowners struggling with mortgages have the decision to “reaffirm” their mortgage, but this isn’t a mandatory determinant to keep their home. If the equity in the house and property is exempt during a Chapter 7 bankruptcy filing, then the home is safe. However, since not all debts are discharged, what happens to mortgages after bankruptcy is an issue on many homeowners’ minds. While a discharge from bankruptcy eliminates personal liability, the lien remains unaffected. In other words, if the homeowner breaks any part of the modified loan agreement terms after the discharge, then the mortgage lender still maintains rights to the property. For mortgages, homeowners have two options after they file for bankruptcy: To reaffirm or not to reaffirm their mortgage. Reaffirming the mortgage is a legally binding act that reiterates your commitment to repaying the loan despite the bankruptcy. Many homeowners decide to reaffirm their mortgage to ensure that they can keep their home. However, a reaffirmation is not required in order to keep your home. Despite the fact that your debts have been discharged after the bankruptcy, a reaffirmation keeps the mortgage enforceable. Since reaffirmation isn’t required and cannot be forced upon you, refusing to reaffirm your mortgage will be reported to the credit bureaus as discharged along with your other debts. Since non-affirmed mortgages are discharged after bankruptcy, there will no longer be positive or negative payment history reports to credit agencies. 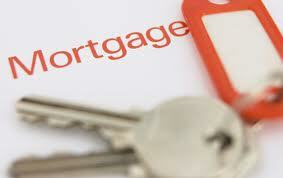 The previous mortgage is no longer an obligation and is thus neutral to your financial health.